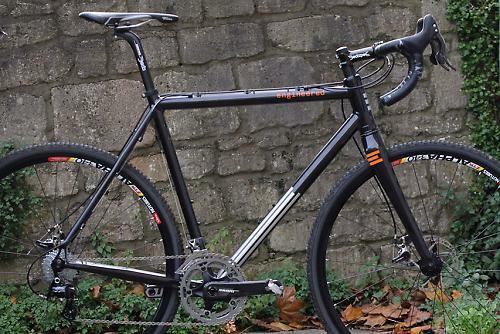 The Zondag is a cyclocross race bike from Engineered Bicycles, one of a new wave of UK custom frame builders. 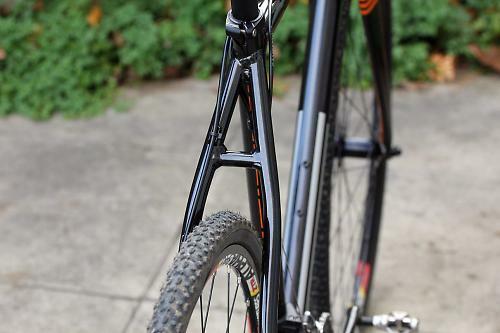 Based in Bristol, they are currently developing aluminium frames (with carbon a possibility in the future) and intend to be involved in road, mountain biking and cyclocross. We had a quick First Look at the Zondag towards the end of last year when the man behind the brand, David Fong, paid us a visit. Since then we have managed to get our hands on the bike for a short test period. The frame is still in the prototype phase, but the changes envisaged before production starts are minimal. During the test period, we managed to get the Zondag out in both a race situation – its intended habitat – and on some trails to get a feel for its all-round capabilities. 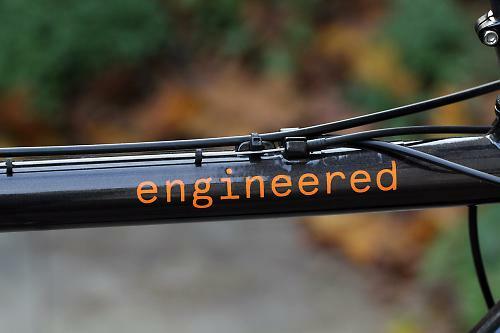 The particular geometry tested was based on David’s own preferences towards a more race-oriented machine, but the Engineered Bicycles custom process allows the customer to tailor the numbers to however they’d like the bike to feel. 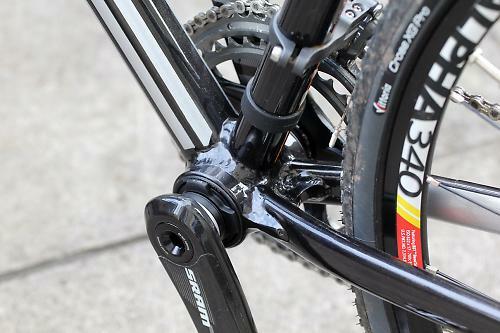 Options such as extra water bottle mounts are available (the standard is a single set on the down tube), though frame eyelets are not included which will limit its appeal for commuting and touring applications. In terms of build kits, the Zondag will initially be available with Campagnolo gears, 3T or Fulcrum wheels and Deda or 3T finishing kit. Alternatively, you can go down the route of custom wheels using Stans rims, a popular option for tubeless, disc compatible wheels, which are supplied through Just Riding Along. If planning to source your own components, the flexibility is there to specify the particular bottom bracket standard used (BSA, BB30 or PF30), integrated or standard 27.2mm seatpost, and whether to go down the disc-brake route or stick with tried and true cantis. In short, lots of customisation is available which is a key reason behind Engineered Bicycles’ decision to manufacture in Italy as opposed to the Far East. The first thing that hits you when setting eyes on the Zondag is its classy, subdued appearance and lack of any ridiculous logos and acronyms. The paint used is apparently of automotive origin and more difficult to work with, but the results are visually more striking than normal and the quality is noticeable. Frame finish is another area which is customisable, so you can go as flamboyant or as subdued as you like. For its first hit out, we took the Zondag straight to a local cyclocross race. This is always a bit of a risk as it can sometimes take a while to get used to the handling and feel of a bike, especially important when tip-toeing around off-camber bends, but on the other hand, any peculiarities in handling are soon found out. The Zondag felt natural right from the first pedal stroke, exhibiting a balanced front-to-back weight distribution that required only minimal input to maintain traction. The learning curve was very short and after a few laps of the course, the confidence was there to push the limits. I managed to find those, and even went past them on one occasion (oops! ), but this was more to do with tyre limitations than the frame itself. 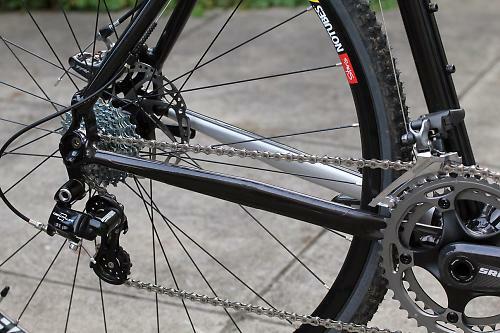 Drivetrain rigidity is exemplary and the Zondag is a joy to punch out of corners and up any small rise. The handling and the stiffness combine to create a machine which only has one speed setting – fast. Even when pre-riding the course, I couldn’t help myself and had to sprint out of every corner just to get that feeling. At times, this characteristic can lead to a bit of excess exuberance and wheel spin, but a slight rearward weight adjustment has things gripping and jumping forwards. 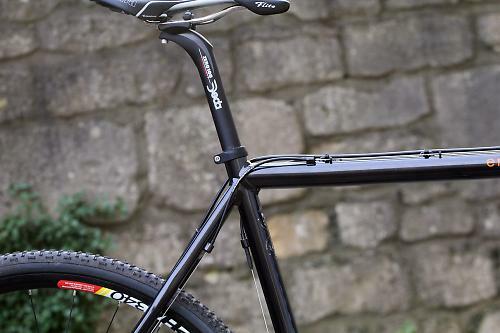 The stiffness extends to the fork and front end, with the oversized head tube and Kinesis fork (production frames will come with 3T forks) easily counteracting the braking forces generated by the disc brakes. There was no juddering or vagueness on turn in, which added to confidence and made it an easy bike to get used to. Though I really enjoyed the geometry and handling of this prototype (see below for all the numbers), the option is there to specify your own if you’ve got some experience and want your Zondag to handle in a particular way. For those newer to the sport, then I’d say you could do far worse than go with the geometry that we tested. David Fong is himself an avid cross racer and that experience clearly shines through in the way the bike handles. When going down the custom route, the frame builder behind the brand is an important piece of the overall puzzle; this is the guy who’ll be designing the bike to meet your specific needs, after all. In all my interactions with David, he comes across as someone who really cares about the finished product and is eager for feedback and ways to improve it. Though I didn’t go through the whole process of designing the bike from start to finish, my impression is that you won’t be left feeling like the finished product doesn’t match your given needs. Compliance in a crosser is typically of secondary importance, and though the Zondag isn’t overly harsh, you’re definitely left in no doubt as to the state of the surface beneath your tyres. For racing, this feedback allows you to push right up to the limits of traction, but for general trail riding and efforts longer than an hour, you might wish for a softer ride. 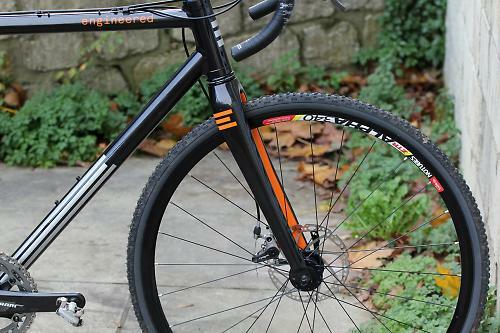 Mud clearance at both ends of the frame is suitably massive on this disc brake equipped prototype and it would be hard to picture the truly apocalyptic conditions required to actually clog the thing. 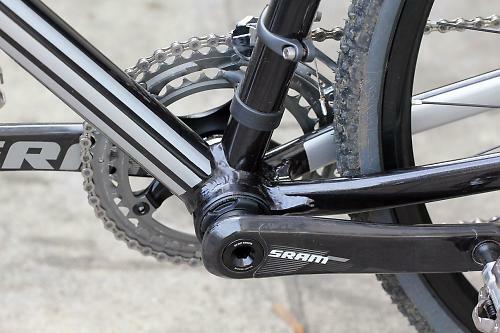 The prototype included a small gusset joining the chainstays behind the bottom bracket that could act as a bit of a mud catcher, but this is one area of the frame which David says will be changed with a view to reducing the chance of mud build up. Based on the first couple of rides we were able to put on the prototype, Engineered Bicycles look to have delivered a winner with the Zondag. The frame feels responsive and agile in a race situation, whilst offering a confidence inspiring balance which really lets you push hard straight away. The variety of options available, from geometry to paint to bottom bracket standard, is impressive and will give prospective customers plenty of scope to create a unique and thoroughly personalised machine.